People are buying and selling loser lottery tickets in apparent effort to cheat. camera (Getty Images) Losing lottery tickets sold online may be used for a tax fraud scheme. There’s no escaping death and taxes, but some people may be trying to lighten their burden this tax season through a scheme that uses dud lottery tickets. 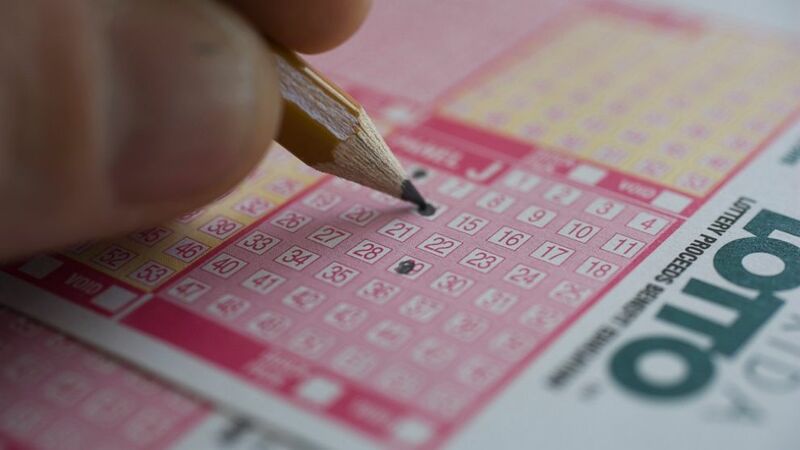 Some folks appear to be buying and selling old, losing lottery tickets on Craigslist with the intention of writing them off on their tax returns as gambling losses, tax experts say. The premise is that people who've earned gambling winners want to offset some of the taxes owed on those earnings with a gambling loss. Kelly Phillips Erb, a tax attorney who writes for Forbes as the "Tax Girl," says taxpayers have to report all their income, including gambling winnings. Conveniently, lottery and racetrack tickets often come without a paper trail, unlike gambling losses at a reputable casino. So people could potentially find old tickets on the floor or in the garbage and claim them as a loss when they file their taxes. In one Craigstlist ad in the Detroit area, a seller lists $1,100 worth of losing lottery tickets for $70. The ad states: "Good for tax write-off for your 2014 taxes to offset your winnings." 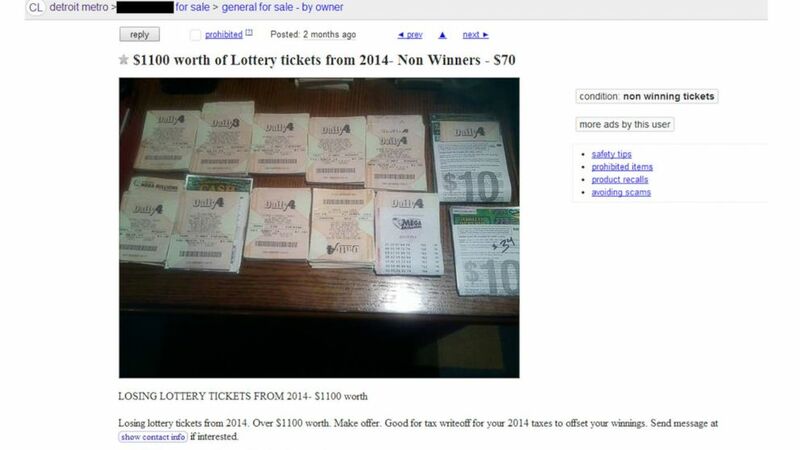 (Craigslist) An ad posted to Craigslist in Detroit selling losing lottery tickets. 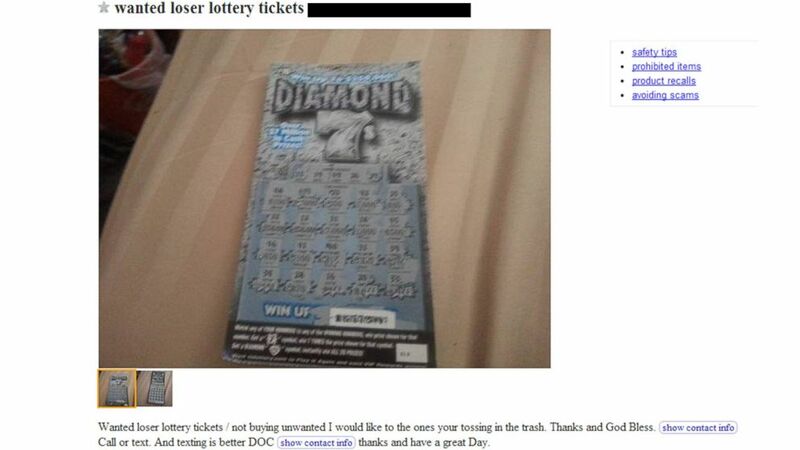 Another Craigslist ad from a user in Knoxville, Tennessee, simply requests to buy "loser lottery tickets." The buyer states, "I would like the ones your [sic] tossing in the trash." These sellers and buyers did not respond to requests for comment from ABC News. (Craigslist) An ad posted to Craigslist in Tennessee asking for losing lottery tickets. Craigslist has not responded to a request for comment and the Internal Revenue Service declined to comment on this issue. Nelson Rose, a professor at Whittier Law School and author of gambling books, told The Daily Beast some tickets could be sold online as memorabilia, which won't get you in trouble with the IRS. One Craigslist user who posted a “wanted” ad for unwanted lottery tickets in California told ABC News that he simply wanted to double-check the lottery numbers online to see if they were winners. Erb, the tax attorney, called the fraud scheme "silly." She said the scheme is not "terribly widespread," and the most famous case was a giant one from the 1980s that involved the winner of a $2.7 million jackpot winner. He and his accountant tried to use $200,000 worth of losing lottery and racetrack tickets to offset his lottery tax burden. They were caught, pleaded guilty to tax fraud charges and served time in prison. "It’s oddly clever, but the potential offset and the potential for getting in trouble is not worth it," Erb said. The people who are attempting this are itemizing their tax deductions, which the IRS monitors. And if you happen to have losses that are the same amount as your winnings, it will likely raise the eyebrows of the IRS, she said. Plus, if you've made some winnings in gambling and you're not a professional gambler, you're ahead of the game, she said. "I know no one likes to pay taxes. If I win $10,000 on a scratch-off ticket, going to the trouble to manufacture losses is ridiculous and it’s tax fraud," she said.